Dr Lisa Balbes received BAs in chemistry and psychology from Washington University in St Louis, and her PhD in chemistry from the University of North Carolina at Chapel Hill. She then spent several years at Research Triangle Institute conducting protein and small molecule modelling studies. In 1992, she founded Balbes Consultants (formerly Osiris Consultants), offering a range of services including technical writing, information architecture, web site design and maintenance. 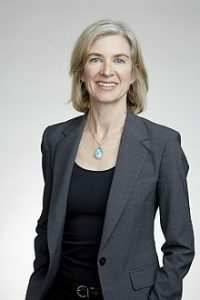 Her work has been published in Drug Discovery and Development, Scientific Computing and Instrumentation, The Alchemist, Genetic Engineering News, Chemistry, and Reviews in Computational Chemistry, among other places. For the past decade Dr Balbes has been involved in ACS activities in a variety of capacities. She was chair of the St Louis Section of the American Chemical Society in 2002, was Webmaven from 1996 to 2004, and is currently Career Services coordinator and a presenter for the Division of Career Services. Starting January 2005, she will also assume the duties of the St Louis Section Treasurer. In addition to her ACS responsibilities, Dr Balbes has been on the Executive Board of the St Louis Web Developers’ Organization since 1997, is Chair of Washington University’s APAP-St Louis South Committee, and Chair of the Corporate Sponsor Committee for the St Louis Chapter, Society for Technical Communications. Lisa lives in Kirkwood with her husband Mark, and their two boys, Jack (13) and Alex (11). In her spare time, she does all types of needlework, and in 2000 won second place in the American Needlepoint Guild national competition. Lisa is being honored for her service as local section Webmaven from 1996 to 2004.